Transform yourself into a true car wash expert with our unique car wash training program. You wouldn’t drive without a license, so why invest in a car wash without the right education? 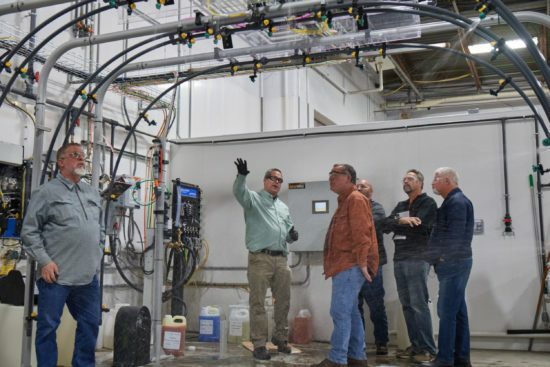 The College of Clean offers interactive training programs in a dynamic training facility, where you’ll receive a hands-on education and gain a solid understanding of car wash operations. The best part? Try the first workshop at no cost. The New Investor Workshop is free! Sign up to learn what it takes to be successful from car wash professionals that already work in the industry. The workshop provides an industry overview, how to select a car wash site, how to write a business plan, financing, operations and more. Enroll today. Can’t come to us? We can come to you. Contact us at 855-893-1393 or CollegeOfClean@NationalCarwashSolutions.com for more details. Once you have a basic knowledge under your belt, additional courses at a nominal fee cover everything you need to know to run a successful car wash operation. Learn about the five factors of clean, chemical application and reclaim systems at the two day Car Wash Cleaning Solutions workshop. The three day Rollover Equipment Maintenance and Repair workshop covers electrical and pneumatics, interfaces, troubleshooting and more. The Tunnel Maintenance and Equipment Repair workshop offers insight on topics like chemical and water systems, electrical components, preventative maintenance. Put on your management hat for the three day Car Wash Management workshop where you’ll learn how to effectively manage employees, establish policies and procedures, work with vendors and more. Ready to get on the road to car wash success? We’ll get you there. Connect with us to see how we can help you today.